Great shooters can distinguish a good basketball shot from a bad one. Here are 10 basketball shooting tips that will help you improve your shot selection. As a coach, there were times I wanted to pull my hair out! The shooting decisions of some of my players drove me crazy. No matter how often I explained the importance of patiently working the ball around on offense and waiting for the defense to break down, they just couldn't resist the temptation to launch it as soon as they got their hands on it. I had a couple of players who never saw a shot they didn't like! Great shooters can distinguish a good shot from a bad one. They know that to win ball games, you've got to put the ball into the hoop more than your your opponent. That's only possible when you're selective and take good, high-percentage shots. 1. Know Your Shooting Range...and Stay Within It! It's easy to get caught up in the game and lose your head, but you have to fight the urge to jack up the shot from way outside. You should shoot the ball from a distance where you can hit about 50% of your shots. If you're going to shoot 3-pointers, you need to be able to hit about 30% of them. 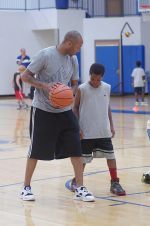 If you're a youth basketball player just starting out, you don't even need to think about shooting 3-pointers! Numbers don't lie. 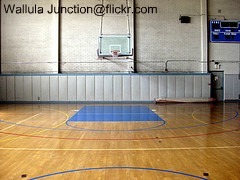 Shoot around in practice from different spots on the floor and chart how many shots you make out of 10 at each location. When you add defensive pressure in a game situation, shots are a little harder to make, so 50% shooting is considered good. you probably don't have a good look at the basket. Most of the time, it would be poor basketball shot selection to attempt a shot in any of these situations. If you are surrounded, you have teammates who are open. You can't shoot a high percentage basketball shot while you are off balance or moving too fast. Before you consider shooting, get your body in control. Good basketball shooting requires your body to be well balanced and squared up to the basket with good body alignment. You can be quick, but don't hurry. Stay in control. If you're a 3-point shooter, you should always know where your feet are in relation to the 3-point line. It drives coaches crazy for a shooter to put up a great shot, but because their foot is touching the line, what looked to be a beautiful 3-pointer is only worth 2 points. You should be ready to receive the ball and square up with both feet behind the line. Before you put up the shot, look around the court to see if you have a teammate who has a better shot than you do. If you have a wide open shot in your shooting range, don't be afraid to take it, but if you have a teammate who is closer to the basket and has a chance for a higher percentage shot, you need to get the ball to her. It is poor basketball shot selection to put up a perimeter shot without making sure you have teammates in place for the rebound. Basketball is a game of percentages. Chances are you're going to miss at least half of your shots, so you need to have teammates around who are able to get the rebound if you miss. Teams that only get one shot at the basket each trip down the court don't win many ball games. It's important to know the foul count of the defenders on the floor. What might be a bad shot in one situation might become much better if you take the ball up against a defender who is in foul trouble. You have the opportunity of fouling him out of the game if he tries to block your shot, or he might back off cautiously and give you a better look at the basket. Good shot selection is dependent on what's happening in the game. What's a great shot one time down the floor might be a poor decision the next. 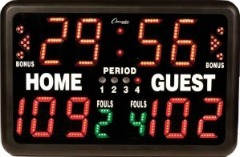 A lot depends on the score and the time left on the clock. If your team is up late in the game, it wouldn't be smart to put up a quick shot without taking as much time as possible off the clock. On the other hand, if your team is down with little time left, good shot selection might mean putting up the first shot you can before the buzzer sounds. Be patient. Don't be tempted to try to create too much on your own. Some players try too hard to force things that aren't there. They try to create openings and big plays instead of working the ball around the offense and letting a scoring opportunity open up. Take advantage of a shot opening, but don't try to force one. If you feel confident about making the shot and are in a position to take it up strong, go for it. For help correcting some common problems that shooters have with their basketball shooting technique, take a look at these trouble-shooting tips. Video is a great tool for analyzing your basketball shot and pinpointing errors in your shooting form. Here’s a helpful checklist for coaches and players to use in identifying problem areas in the shooter’s form.